Research (Ellis 2005) exists regarding the benefits of using a class of drugs called cholinesterase inhibitors in the treatment of Alzheimer’s disease and dementia. The American Geriatrics Society cautions use of these medications stating that periodic assessments of the benefits and adverse effects should be completed on a regular basis. Evidence for long term use is lacking. Cholinesterase inhibitors are not recommended for individuals in the advanced stages of Alzheimer’s disease. How does one decide whether these medications offer benefit if research is contradictory? If Alzheimer’s truly is an irreversible condition, what benefit do the medications offer? What are the risks of taking these medications for individuals diagnosed with mild to moderate degrees of memory loss? Should families be more discerning before accepting recommendations to utilize these medications for loved ones diagnosed with Alzheimer’s disease? The decision to use medications is a personal choice that should be based on family values, the health condition of the individual diagnosed, available finances and the wishes of the care recipient — if sufficient cognition exists for this information to be expressed. As with most medical diagnoses there exist an initial diagnosis, a long term prognosis and plan and the day to day plan and goal of treatment. With a diagnosis of Alzheimer’s, short and long term planning are critically important. One of the initial decisions might be treatment of the disease through medication. Common names of medications used to treat Alzheimer’s disease and dementia are: Aricept, Memantine, Razadyne, Celexa and Exelon. 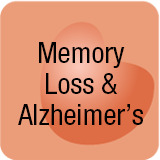 The treatment goal of these medications is maintaining current cognition; thus supporting the idea of preventing further decline or the rate of decline of further memory loss. The American Geriatrics society states that if a benefit from these medications is not apparent within 12 weeks, benefit is not likely to occur. Additionally, evidence is lacking regarding any benefit of treatment for longer than one year. The costs, both financial and personal, of caring for a loved one with Alzheimer’s disease are high. Estimates by the National Institute on Aging report that the cost of Alzheimer’s disease to the U.S. economy is over $100 billion each year. Knowing this, it is wise to delay the progression of the disease through the use of medication if this will increase costs to the healthcare system? Conversely, if one is able to delay the progression of the disease through use of medication, might this delay increasing healthcare costs? There is no single, right answer to the question of using medications. Another consideration is the health status of the care recipient. If the individual has no or few other diagnoses than Alzheimer’s there may be benefit to using medications to promote a longer quality of life and the ability to maintain physical and daily activities as long as possible. This allows families to recognize and enjoy the time remaining and to make the best of the situation before the disease progresses. On the other hand if many chronic health conditions exist like heart disease, diabetes, COPD, depression and quality of life is already poor, adding another medication to the mix may offer little long term benefit. If one chooses to utilize medications, it is important to monitor for side effects that include stomach disorders resulting in constipation, stomach upset and diarrhea, vomiting and anorexia. Weight loss is a significant concern for individuals diagnosed with dementia and Alzheimer’s. Often nutritional supplements like Ensure or Boost are used. In other circumstances, appetite stimulating medications are prescribed, for example, megestrol or mirtazapine. One might then ask — where is the wisdom in prescribing a medication to treat memory loss that results in weight loss and the need for additional medications and supplements. Indeed, this is why many families choose not to use medications to treat memory loss as the side effects may cause more problems in comparison to the long term benefits of using the medication. Under the best circumstances when weight loss occurs, 1:1 attention during mealtimes offers the greatest benefit, even if individuals require hand feeding or hand held foods to make the activity of eating easier. The choice to use medications should be discussed among family caregivers and the diagnosed individual. 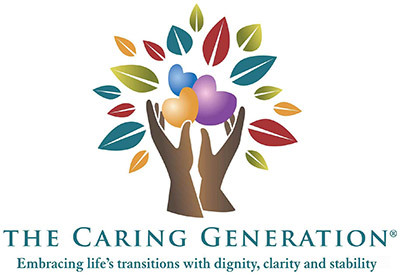 It is important to understand the benefits in light of other existing health conditions, the desire of the care recipient, family values and finances available to pay for long term care. Ellis, J.M. (2005) Cholinesterase inhibitors in the treatment of dementia. J. Am Osteopath Assoc. March 1, 2005, vol. 105 no. 3 145-158. ©2014 Pamela D. Wilson, All Rights Reserved.